Pink pampas grass flaunted their plumes by the side of the road, where a flock of wild turkeys meandered and gossiped. A skein of black birds pierced the cloudless sky, unreeling, then flying into a circle, then flying away, all in formation. Dark, wind-tossed cypress trees guarded the neighboring Catholic and Druid cemeteries with their witchy equanimity, and cows and sheep wandered in their meadows as I drove by. My first stop was the Thai food restaurant, where I was the first customer of the day, ordering fresh spring rolls, Massaman curry, and velvet-fried triple orange chicken with a side order of cucumber salad to go. Dinner’s ready! I stowed it all in the cooler in Wednesday’s trunk and headed back to Point Arena to see Benedict Cumberbatch’s “Hamlet”, streamed live from the National Theater in London. My original plan was to stop in at Franny’s for a delightful confection and possibly some cute things for Christmas stockings, but when I saw the line at the Art Deco theater across the street, I revised my plan. I had never seen such a line or had to park so far away. For the first time since I left San Francisco, I had to curb my wheels (“Up, up and away” was how I remembered it for my driving test – if you’re parked uphill, point your wheels away from the curb). As usual in any line, from airports to movies, it took the people in front of me ages to complete their transactions (Why? Why?) and seconds for me. The main seating area looked pretty full, so I ventured upstairs, where I found a seat in the front row of the balcony, which is now my favorite place to sit since tall people can’t block the excellent view. It ended up being standing room only, with people perched on folding chairs as well. The production looked to be set between the wars in an English country house, though they of course referred to Denmark and Elsinore. Horatio had clearly visible neck and arm tattoos, though the play within a play was in Elizabethan costume. I had forgotten how many common expressions are from that play, such as “primrose path” and “the lady doth protest too much”, and I was surprised by how many of the speeches I knew by heart, since Dad used to recite Shakespeare while cooking. I wish he could have been there. 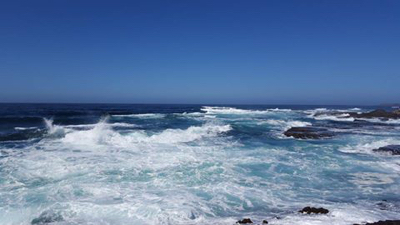 When I left the theater, it was sort of a shock to return to the bright sunlight and the little city of Point Arena, since I was so deeply engrossed in the play. As I drove homeward in the fading golden and pink light of late afternoon, I thought of all the plays Dad and I had seen together in London and how lucky I am that I can still see London plays here in our little corner of the world. A YEAR AGO: An unproductive visit to San Francisco. I think it’s the last time I was there. It’s been too long! Fun night. Thai and Cumberbatch? What else can you ask for? It was awesome, that’s for sure. Worth three hours of driving! Awesome indeed, glad you enjoyed it all, the dinner and a play will always be something to enjoy, so will the spectacular view of the ocean. And Suzy, your Dad was with you I’m certain. massaman curry is my favourite! 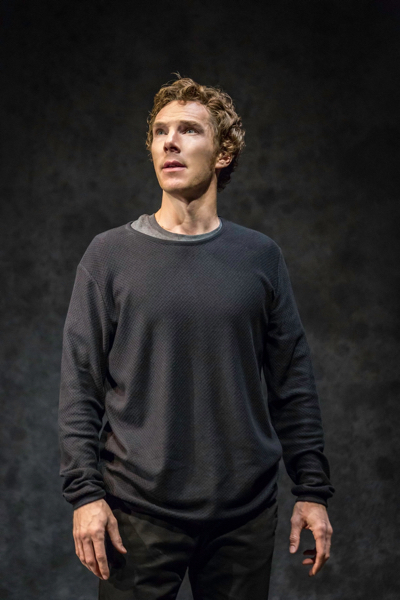 also – jealous that you got to see Cumberbatch do Hamlet, that sounds amazing. Guy, I hope you’re right! I know he would have loved it. Lisa, that’s so funny that it’s your favorite too! Definitely worth catching this production if it’s streamed or recorded somewhere near you. He is an amazing actor. I am right Suzy, when your Dad dies, it was only his body that failed him, his love for you shall forever remain with you.